NO PURCHASE NECESSARY. 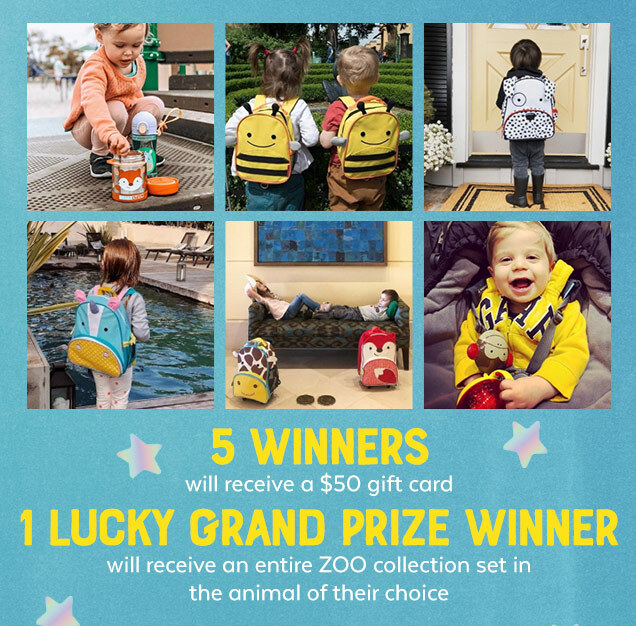 Zoo Week Sweepstakes is open to legal residents of the 50 U.S., DC, U.S. territories and PR, 18 yrs. and older. Void where prohibited. Sweepstakes begins on 3/21/19 on or about 10:00 a.m. Eastern Time ("ET") and ends on 3/21/19 at 11:59:59 p.m. ET. 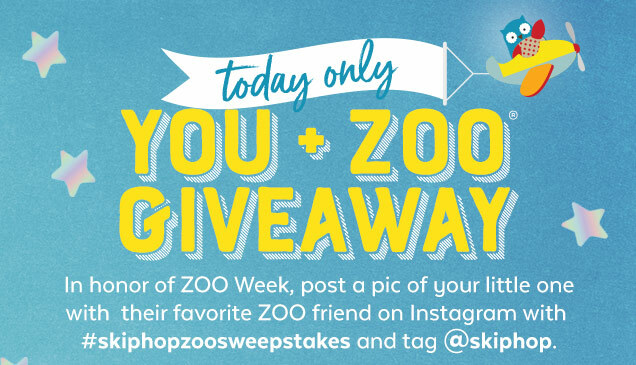 For a copy of Official Rules visit https://universal-promotions.com/sweeps/zoo. 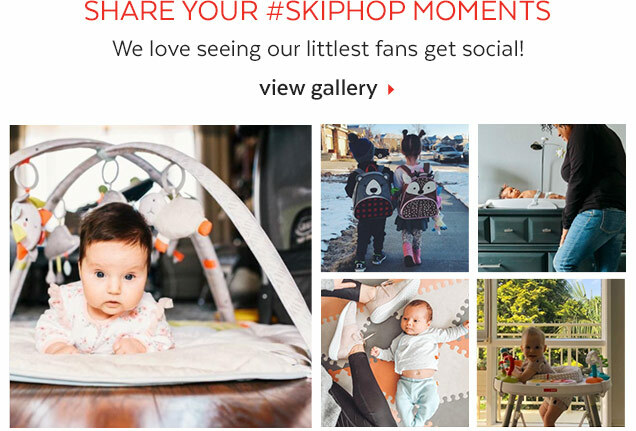 Sponsored by Skip Hop, Inc., 50 West 23rd Street, New York, NY 10010.